Ram Vaswani was born in London, England in 1970. He is the youngest member of the poker playing group, The Hendon Mob. Ram Vaswani started out by playing snooker, but turned to poker after realizing he would never be one of the best snooker players in the world. Ram Vaswani once started poker games on a school field trip when he was twelve, but a teacher told them that they couldn’t play for money. Ram Vaswani’s whole purpose in setting up the poker game was to win money to buy candy, so he just convinced his friends to play poker for candy instead. Ram Vaswani met Joe Beevers when they were placing bets on dog racing, and together, they set up a private poker game. Barny Boatman and Ross Boatman joined them later, and together, the four became known as The Hendon Mob, a team who only play poker online at Fulltilt Poker. Ram Vaswani’s first big poker tournament win came at the 1999 Dutch Master Classics, which was the most prestigious tournament in Europe at the time. Ram Vaswani would go on to win the European Poker Classic in 2000 and the Euro Finals of Poker in 2002. 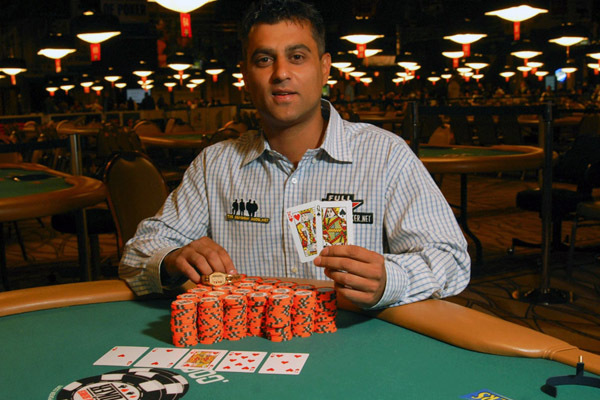 Ram Vaswani first cashed in the World Series of Poker in 2001, at the $3000 No Limit Holdem event. In 2002 he would finish 3rd in the $2000 Limit Holdem event and finish 2nd in the $2000 Half Holdem Half Seven Card Stud Event. He would also have a 3rd place finish in 2004 at the $3000 No Limit Holdem event. To date, (July, 2011), Ram Vaswani has won more than $2.9 in poker games, which is also inclusive of the poker tournaments.